Claire Robinson has been a member of the AFA’s board since its inception in 2012 and was named Chief Executive Officer in March 2015. She has been self-employed for many years and involved in the creation and management of several, successful businesses. With an ongoing passion for helping people, in 2010, Claire established Extra Help®, the home-help and domestic services franchise network. The business was franchised in 2011, thereby bringing Extra Help’s unique services to other areas of the country. With a steady stream of new franchisees coming on board, Extra Help continues to flourish to this day. Claire’s passion lies in enabling others to be successful through ethical franchising and helping the smaller franchisor to succeed in a competitive marketplace, hence why she is the perfect fit for the AFA board. She also works as a franchise consultant under the banner ‘All Things Franchise’. Working alongside Accentiá, a franchise consultancy, she assists clients with every aspect of their franchising journey, from providing a clear route to market and strategy to assisting with the recruitment of franchisees. 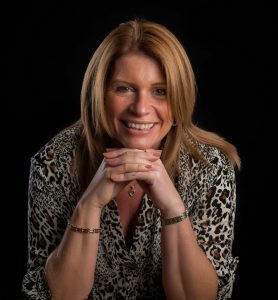 Claire is also a member of EWiF (Encouraging Women into Franchising) and is a qualified life and business coach, having gained a level 5 ILM qualification from the University of St Mark and St John in Plymouth. In addition to this, Claire is an NLP Practitioner and Master Practitioner, which she has found to be extremely beneficial in her role as a franchisor. Claire lives in Milton Keynes and has three, grown-up children. She is an outdoor person and fitness fanatic who, in her spare time, attends boot camps and sets herself various, personal training challenges.